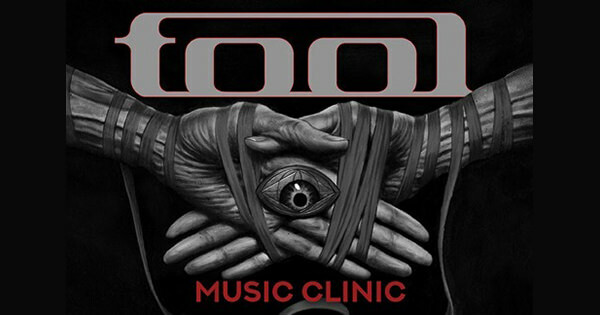 Tool, one of rock music's most mysterious and speculated about bands, give fans a rare glimpse behind-the-scenes via a series of intimate music clinics. The discussions include drummer Danny Carey, bass player Justin Chancellor and guitar player Adam Jones walking attendees through a handful of the band's songs, from the process of writing them to playing them live. Audience members are encouraged to ask questions via an open discussion, as well as mingle with the band following the session. Ticket holders will receive commemorative merchandise, exclusive to the series of events and limited to the number of people in attendance. An accompanying, traveling exhibit will be on display at each event, featuring unique items from Tool's history. Tickets are on-sale this Friday, April 13 at 10 am local time.